Boston, Mass., Sep 11, 2018 / 04:00 pm (CNA).- The Archdiocese of Boston has announced changes to the way it will process and respond to letters addressed to Cardinal Séan O’Malley on matters related to sexual abuse. A statement dated Sept. 9 and published on the archdiocesan website confirmed that, in the future, Cardinal O’Malley himself would handle all correspondence either related to his work as President of the Pontifical Commission for the Protection of Minors or on the subject of abuse generally. “Recently, the Cardinal has revised the protocol for receipt of Commission related matters,” the statement said. Previously, letters addressed to the cardinal were filtered through his personal secretary, Fr. Robert Kickham, who undertook to respond on O’Malley’s behalf if the letter fell outside of his competence either for the Commission or the Archdiocese of Boston. The process came under heavy criticism in July of this year when it emerged that a priest, Fr. Boniface Ramsey, had sent a letter to Cardinal O’Malley in 2015 outlining various rumors and allegations he had heard concerning Archbishop Theodore McCarrick. At the time, Fr. Ramsey received a response from Fr. Kickham thanking Ramsey for writing but explaining the matter was outside of Cardinal O’Malley’s areas of responsibility and that no further action would be taken. Sunday’s archdiocesan statement also included an expression of personal support for Fr. Kickham from Cardinal O’Malley, calling him “an essential and valued member of the cardinal’s senior staff.” It also explained that the cardinal often received mail from people who misunderstood his role at the Pontifical Commission for the Protection of Minors. “It is important to understand what the Commission’s role is in regard to the issue of sexual abuse,” the statement said. It went on to explain that the Commission was a purely advisory body, not empowered to either investigate specific allegations of abuse, or to prosecute abusers. 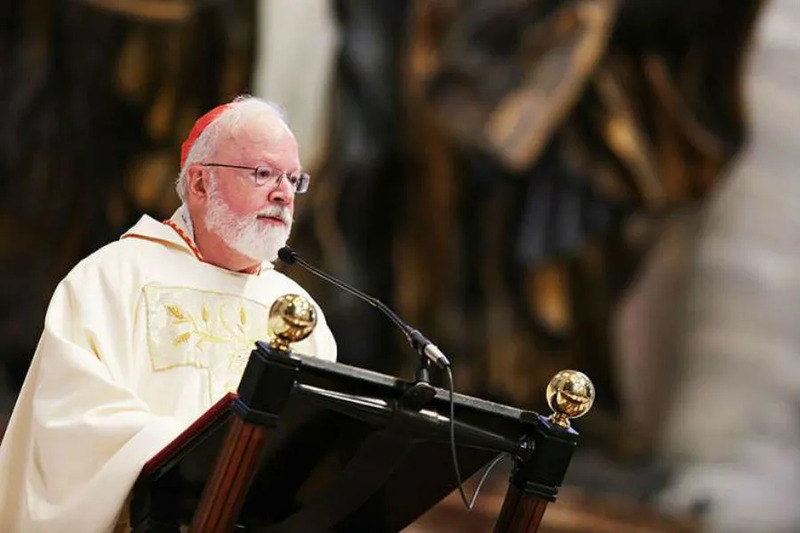 Cardinal O’Malley is widely regarded as one of the most credible voices in the Church hierarchy on the issue of sexual abuse. He is credited with restoring local trust following major abuse scandals both in Boston and in the Diocese of Palm Beach, which he previously led. The policy change comes amid the continuing fallout of several sexual abuse scandals in the Church in the United States, including the resignation of former Cardinal Theodore McCarrick and the release of the Pennsylvania grand jury report into clerical sexual abuse in several dioceses in that state. On Aug. 10 Cardinal O’Malley announced an independent investigation into the “moral standards” at St. John’s Seminary in the Archdiocese of Boston, suspending the rector in the process. That announcement followed allegations of sexual harassment and misconduct made by former seminarians. Later this week, Cardinal O’Malley is expected to travel to Rome with Cardinal Daniel DiNardo, president of the U.S. bishops’ conference, to meet with Pope Francis on the sexual abuse crisis in the Church in the United States. Washington D.C., Sep 11, 2018 / 05:19 pm (ACI Prensa).- The Archbishop of Washington told priests Tuesday that he intends to meet with Pope Francis soon to discuss his resignation from office. Washington D.C., May 4, 2018 / 04:31 pm (CNA/EWTN News).- The U.S. bishops’ Ad Hoc Committee Against Racism will have a new chairman, following Bishop George Murry’s resignation from the position after being diagnosed with acute leukemia. The cardinal has named Bishop Shelton J. Fabre of Houma-Thibodaux, La. to serve as the chairman until the end of the term, the U.S. bishops’ conference website reports. “I am grateful to Bishop Fabre for his dedication and commitment to now lead the work of the Ad Hoc Committee,” Cardinal DiNardo said. The ad hoc committee was established in August 2017 in the wake of increasing racial tensions and white nationalist activism. Its work has included a press conference last fall at the Martin Luther King Jr. Memorial in Washington, D.C., and the creation of resources for the Sept. 9 Feast Day of St. Peter Claver as an annual day of prayer for peace within communities. The committee also promotes education, resources, communications strategies, and care for victims of racism. A pastoral letter from the committee is expected to be released later this year. On Monday the Diocese of Youngstown, Ohio announced that Bishop Murry has been admitted to the Cleveland Clinic. “He will undergo intensive chemotherapy for the next four weeks,” said the diocese’s statement, which called for prayer. Murry also chairs the U.S. bishops’ Committee on Catholic Education, which provides guidance for all Catholic educational institutions in the country. CNA contacted the U.S. bishops’ conference seeking information about whether the bishop would remain on this committee but did not receive a response by deadline. Bishop Shelton Fabre was born October 25, 1963 in New Roads, La. He was ordained a priest in 1989 and became an auxiliary bishop of New Orleans in February 2007. In September 2013 he became Bishop of Houma-Thibodaux in southern Louisiana. He is current chairman of the U.S. bishops’ Subcommittee on African American Affairs, on which he has served since 2010. Since 2013, he has served as a member of the Committee on Cultural Diversity in the Church. 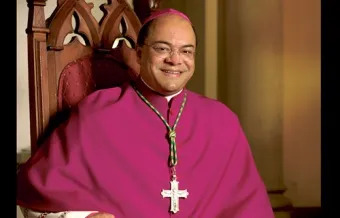 The bishop is a Fourth Degree member of the Knights of Peter Claver, a historically African-American Catholic fraternal organization which he serves as national chaplain. He is also a Fourth Degree member of the Knights of Columbus. now that’s what I call reform!